You just cannot trust your denture. It happened again. Just as you put the fork into your mouth, your denture slipped loose. You smile and excuse yourself, being careful not to move your mouth too much. And off you go to the bathroom to try to put things back in place with your denture adhesive. Loose dentures result from normal shrinkage of the gums. 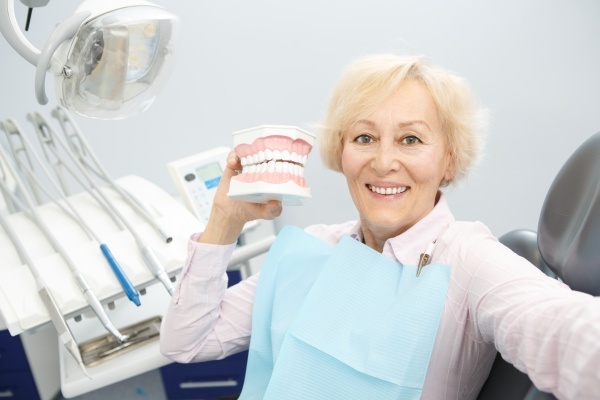 The most significant issues of loose dentures occur about six months after your initial fitting, because the inflammation caused by tooth extraction and adjusting to your dentures has resolved. Dentures older than five years can also begin to slip and cause problems. One of the processes of aging is the resorption of our gum tissue and bones. They just naturally shrink as we get older. When this happens, your dentures will not fit properly and can begin to cause you serious problems. But don’t worry! 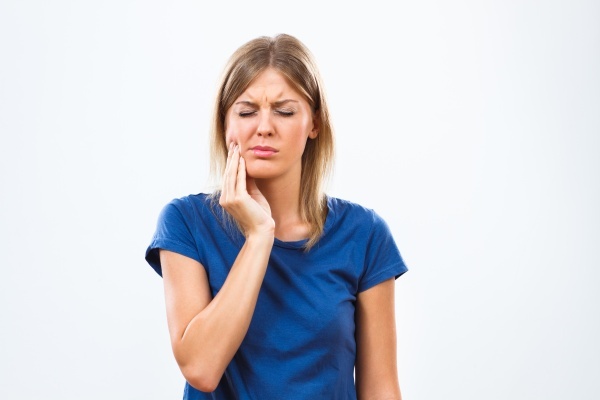 Your dentist can help you resolve the problem. These can be done in the office. The dentist will determine where your denture is rubbing your mouth and will scrape or shave away incremental layers of the denture base in that area. Relines involve adding material to the base of your denture to make it better fit the new shape of your gums and mouth. Relines can be temporary (soft) or permanent (hard). If your denture base is damaged or relining does not improve the fit, your dentist may offer you the option to rebase your denture. In this process, the denture base is removed and a new base is made. The teeth from your original dentures will be placed in the new base. Sometimes the best choice is just to replace the denture altogether. If this happens, your dentist will take impressions of your mouth and your dentures. The impressions will be sent to a lab, where a new set of dentures will be created for you. Why do I need to have my dentures adjusted? Keeping your dentures in good condition and fitting properly is about more than comfort. Oral hygiene can have a direct effect on your overall health. Ill-fitting dentures create inflammation in your mouth. The inflamed tissues become the target for various fungi, bacteria and viruses. Two common infections found among denture-wearers are cheilitis, an inflammation-causing cracking at the corners of your mouth, and stomatitis, a fungal infection caused by yeast colonization. According to WebMD, a synergistic relationship exists between gum disease and general overall health and wellness. Gum disease has been linked to a number of serious health problems including heart disease, stroke, diabetes, osteoporosis and rheumatoid arthritis. Poorly fitting dentures, left unaddressed, have also been linked to respiratory infections like pneumonia and even types of oral cancer. Whether your dentures are new or old, if they are not fitting you properly, it is important to see your dentist as soon as possible to discuss options. As the American College of Prosthodontists says in its position statement, properly fitting dentures are not a luxury — they are a necessity.